Stacking of antennas is a method for increasing the gain by decreasing the radiation angles. Thereoretically the additional gain for a second Yagi with optimal stacking distance is 3 dB (exception: Dipole and 2-El.-Yagi 4 dB). The stacking distance depends on the radiation angles (azimuth and elevation) of each single Yagi. As a rule of thumb take the stacking distances for vertical stacking of horizontally polarized Yagis in the picture below. All pictures show examples for 2m-Yagis, but the basics are for all frequencies. The picture shows the distance for two optimized Yagis for 3 dB stacking gain. The gain (dBd) of a single Yagi versus the stacking distance (lambda). 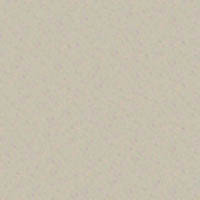 With that distance you are always very close to the optimal data. With lower distance you get lower gain, but mostly a pattern with less sidelobes. If the Yagis come to close together, the impedances of the Yagis will change, you should avoid that! This is the best configuration for point-to-point communication like EME and MS. Both radiation angles (vertical and horizontal) are smaller than with a single Yagi. 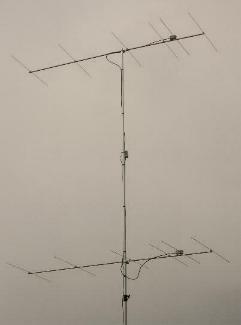 The pattern is similar to a single Yagi with a 4-times longer boom. This is the recommended stacking method for Contest-operating and own cq-calls: Small vertical angle and great horizontal angle. Two lightweight Yagis vertically stacked. Here the narrow band 6-El.-50-Ohm-Yagi, gain with stacking losses 13 dBd. 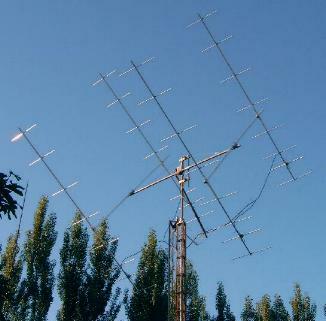 The description of the Yagi in the chapter "Lightweight Yagis", but here with a boom 16x1 mm of aluminium (not PVC).